Now that Luke and Abbey are both old enough to read and write well, we decided it was time to really begin nature journaling. 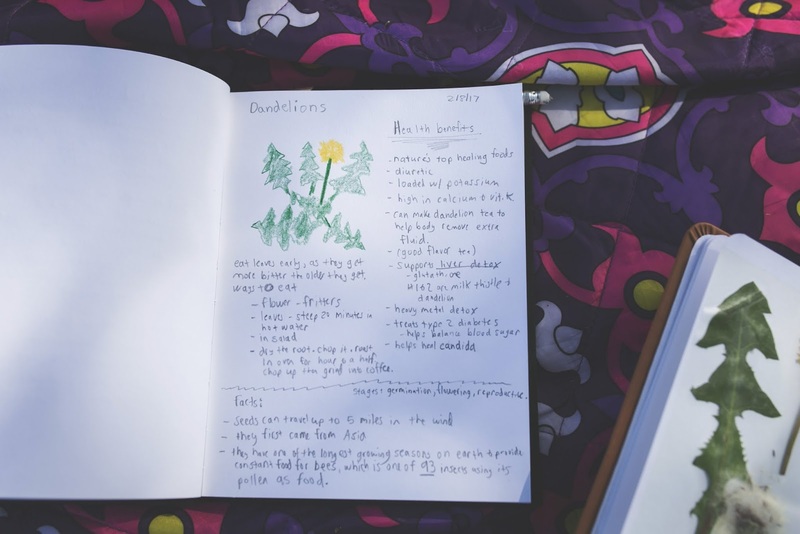 Of course, being able to read and write well is not a requirement for nature journaling, but it certainly helps us be able to take it to the level I have always envisioned. Anyone, at any age, can nature journal. And nature journaling can really be whatever you want to make of it. There are absolutely no rules. It can be simply drawing pictures of what you see, it can be words (in the form of an essay, a poem or randomness), or it even can be actual items you have collected and pasted or glued into the book. We have sort of done a little of each of these. But, my favorite way to "nature journal" is how we did it today. 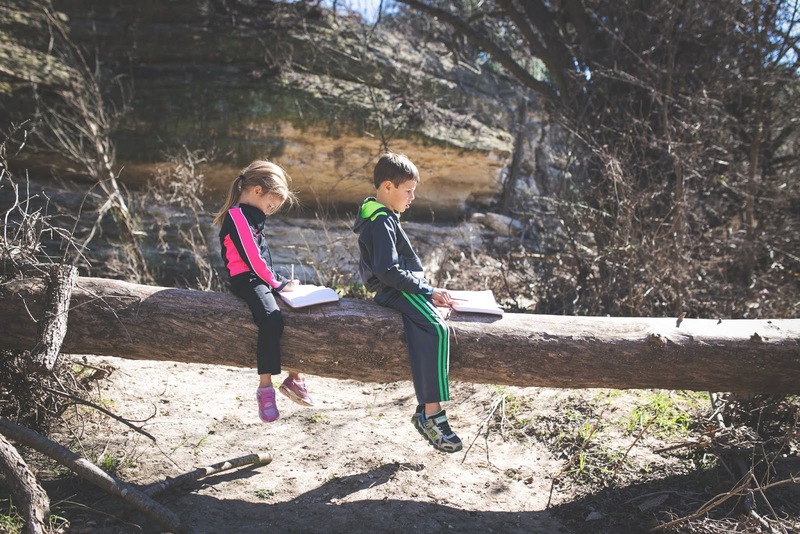 It is really more of nature study and "nature notebooking". Today was another absolutely gorgeous February Day. If I plopped you right in the middle of today without telling you what day it was, you may have thought it was late spring. The high is 83 degrees, it is sunny, with just a few cirrus clouds in the sky, along with a gentle breeze. Spring flowers are popping up all over the place in our yard. 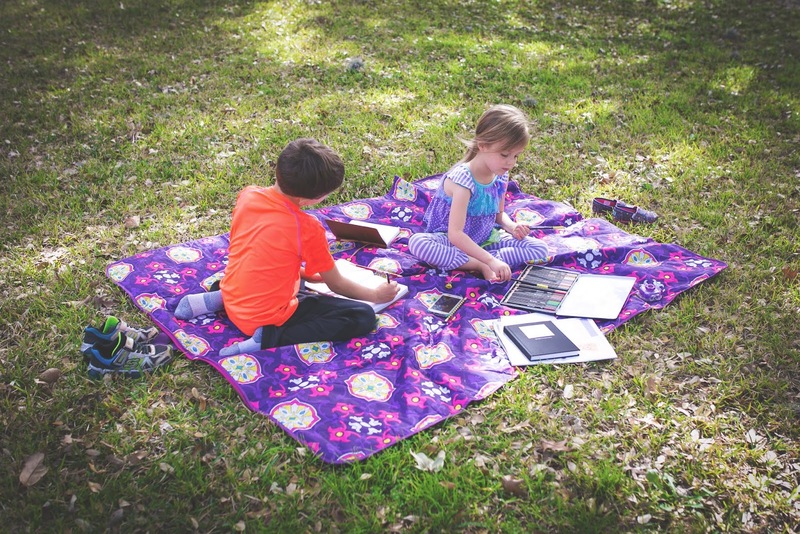 So, as soon as we did some chores inside, read some books and prepared our Valentine's Cards for Lego Club this week, we headed outside to our front yard with our picnic blanket, nature journals and cameras. First, we looked around and noticed the numerous dandelions popping up. 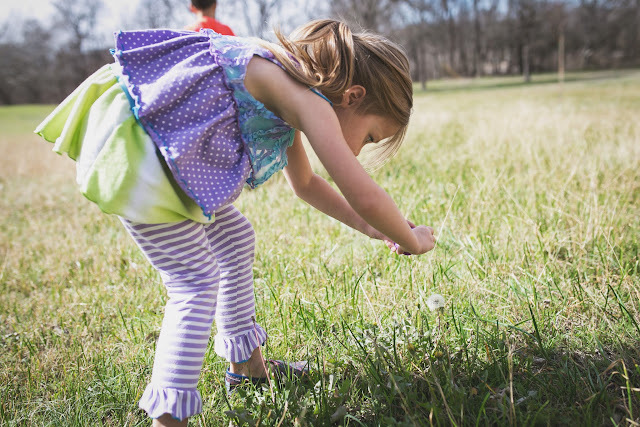 Now, to some, dandelions are a weed. But to me, they are far from that. 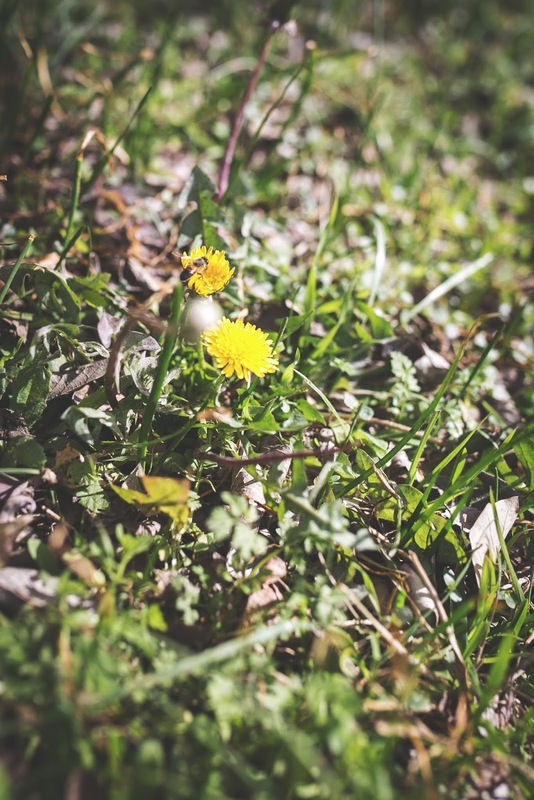 If you have ever gone to the farmer's market or whole foods and have seen dandelion leaves or dandelion root there for sale, you may know that dandelions are actually cherished by many. 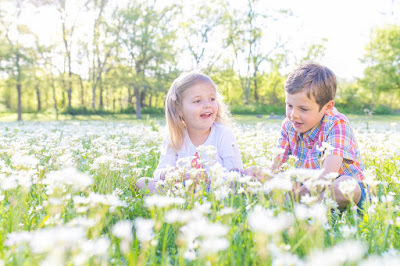 Therefore, we figured that it would be fun to learn all about dandelions. We got on my phone, and used good ole' Google to learn all we could about the flower. We learned about all of the stages of the flower, and we learned some really interesting facts about them. Did you know the wind can carry those seeds for up to 5 miles? We learned all about how to prepare the different parts of the dandelion if you plan on eating it. We learned about all the health benefits of dandelions. We learned that dandelions have one of the longest growing seasons on earth. They provide constant food for bees, which is one of 93 insects that use its pollen as food. Dandelions aren't just pretty, they are important. 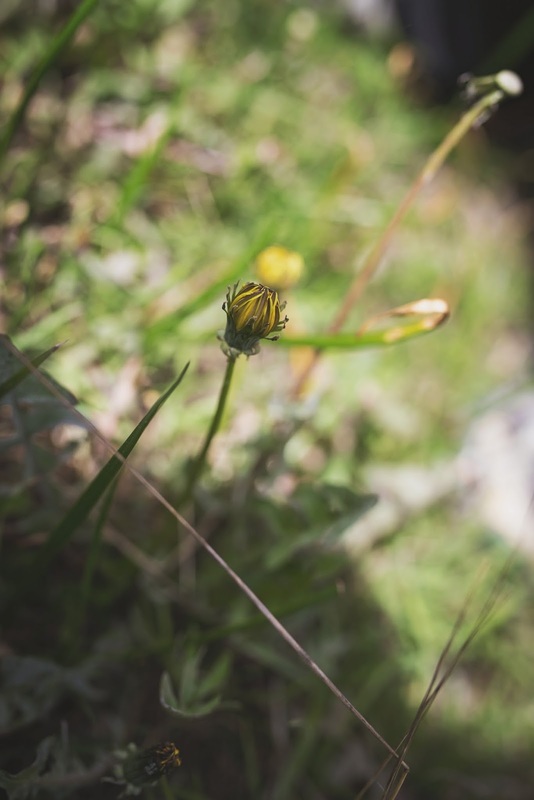 As Ella Wheeler Wilcox said, "A weed is but an unwanted flower." Many would say our yard is full of weeds. But, I would say it is full of flowers. Abbey and Luke would completely agree! 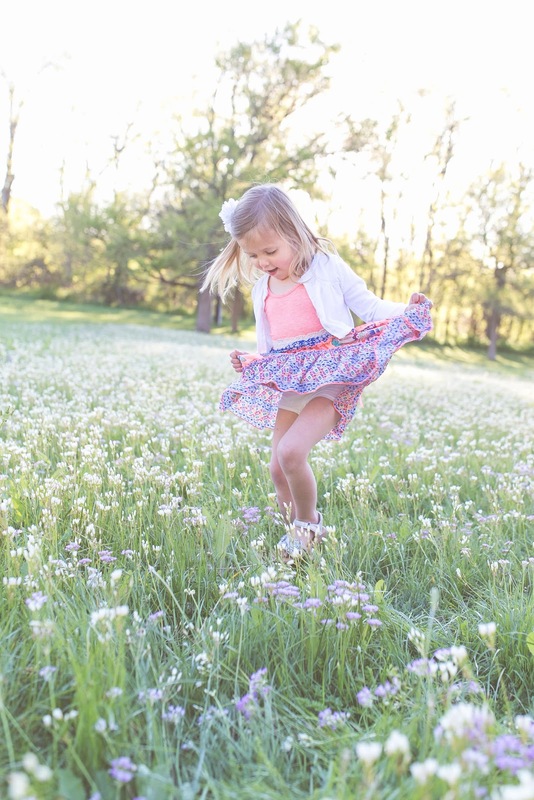 Abbey loves to frolic in our "weeds". 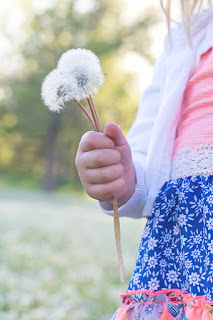 Once we learned all about dandelions, we decided to capture photos and take samples of each of the various stages of the dandelion. We have all of the stages in our yard. First, the germination stage occurs when a seed finds its way to perfect growing conditions: moist soil, sunlight and temperatures of at least 77 degrees. The seedling stage is when the plant develops leaves and roots: it occurs during this germination stage. 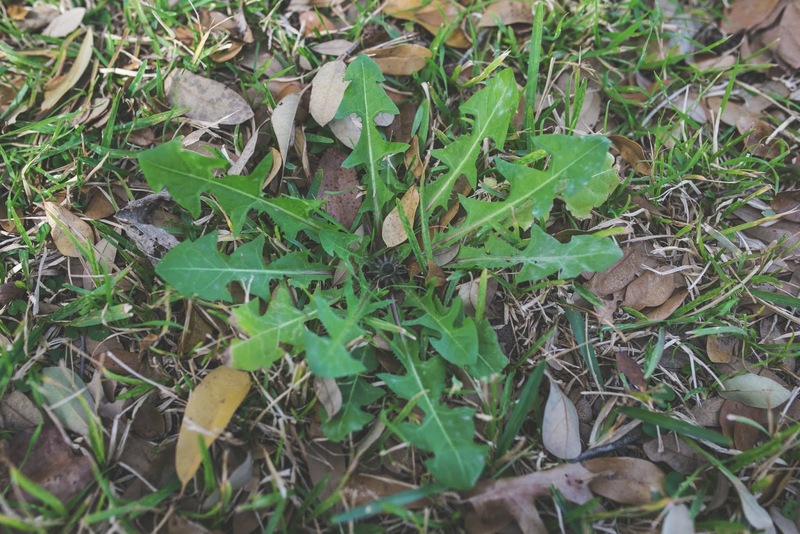 The photo above shows the dandelion plant just as it got its leaves and roots and is entering the flowering stage. The plant looks like just leaves, but if you look in the middle, you can see the flower beginning to emerge. It is entering the next stage: the flowering stage. We learned that the stem will grow from 6 to 24 inches in this stage. It has to grow before the flower emerges. You can see below some dandelions in this stage. A bee is really enjoying the pollen! It let all three of us take close up photos and didn't let that bother him from enjoying his meal. The last stage is the reproductive stage. The flower changes into tons of little seeds. The seeds are attached to floating structures, called pappusas, which can help carry them miles away. This is one of the kids favorite stages! 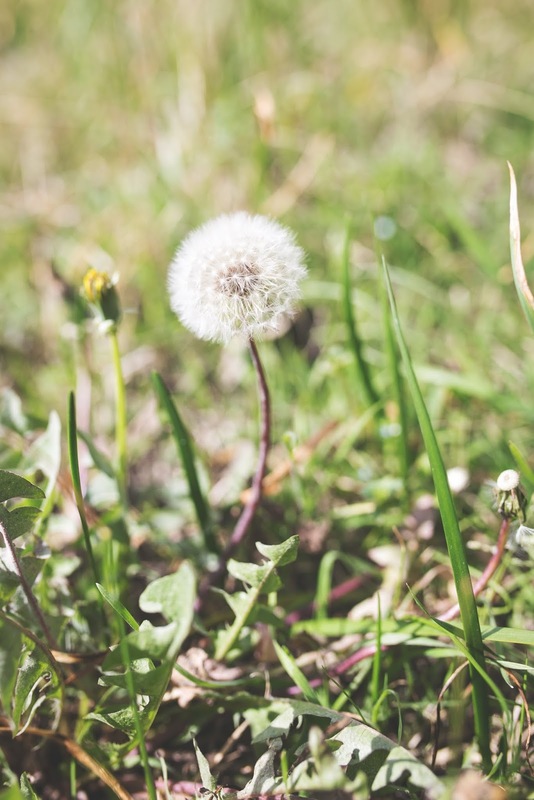 The dandelion is asexual and doesn't need other pollen to reproduce. Capturing some photos of the reproductive stage. Next, it was time to do some journaling about all we learned. Y'all, this is something that adults can do as well and get quite about out of it. 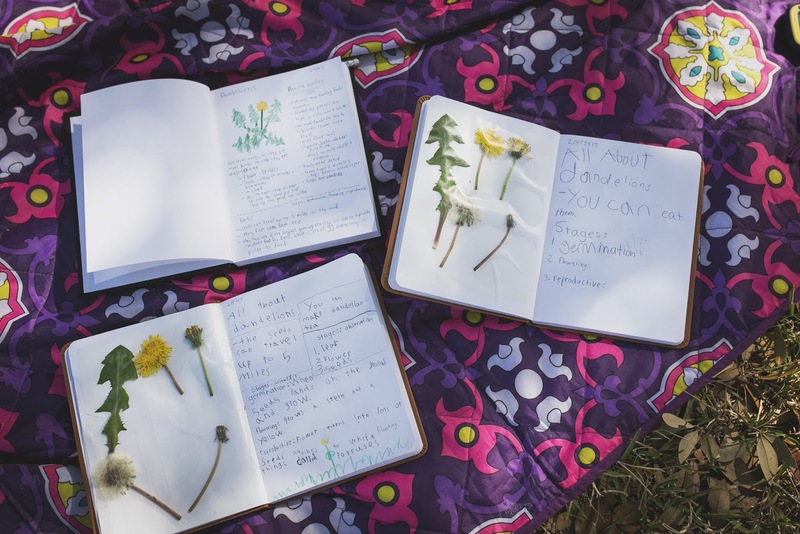 I really enjoy nature journaling alongside the kids, and I learn something new every time. Even if we are not doing a "nature study", it is still really relaxing to be out in nature, and write down or draw what I observe, feel and hear. It is a wonderful stress reliever. 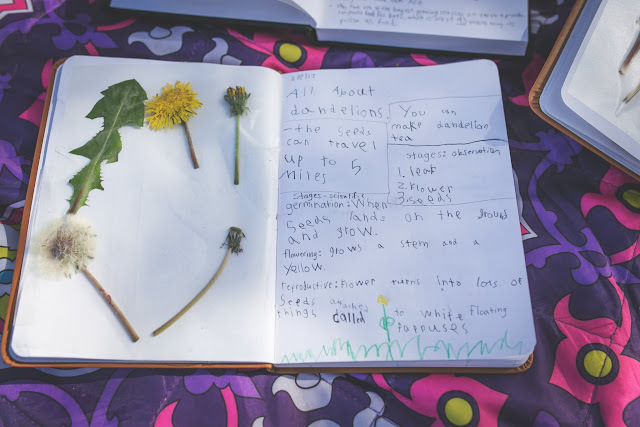 Luke is at a great age for nature journaling. Now, it's time for us to prepare and enjoy some dandelion tea and dandelion fritters!